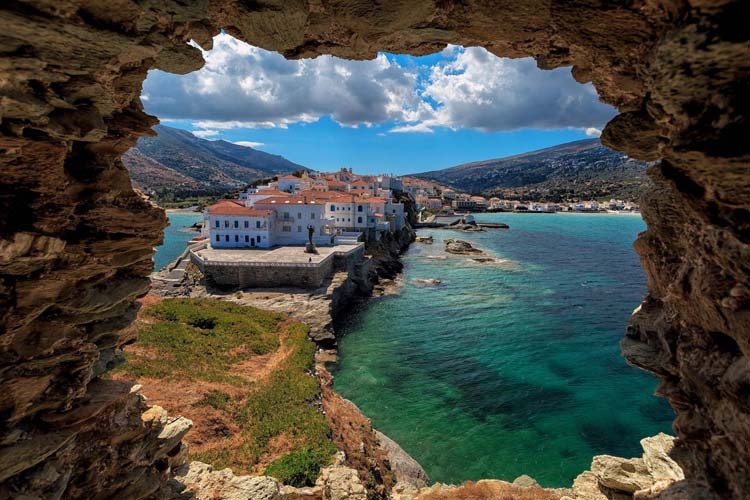 Andros is one of the most beautiful islands in Greece and it belongs on the island chain of Cyclades. This island has a great history from the ancient times and it is ideal for family vacations and for those people who feel the need to return to nature and enjoy some peaceful days. But the nights in Andros are fit for everyone’s taste. If you have a small budget for your vacation, Andros is the perfect destination for you and your company as there is a majority of economic Andros hotels and low cost accommodation choices. The only thing you need to do is to decide your criteria and set them on the searching form on the online platform of the tourist agency e-globaltravel. The advanced online booking system that you are going to find on our online page is the best tool for a modern traveler that wants to book the best hotels at the best prices without even moving from his comfortable sofa. You can reach the island by airplane or by ferry. The mean of transportation is your choice but whatever your selection will be you can book the airickets or the ferries from our online page. Andros island is known about its big sandy beaches that offers you the opportunity to enjoy the sun without getting crowded. This island combines the sea with the mountain and it is the right place for you who want to feel the nature by walking through the narrow pathways. Book the activities now.